With a nod to Independence Day, iFixit is giving away 10,000 iPhone Liberation Kits for free. iFixit is a wiki-based site that teaches people how to fix things. Anyone can create a repair manual for a device. They also sell tools to help people get into and fix the devices. The bottom of an iPhone includes two tiny, five-point screws. The pentalobe screw is a proprietary screw developed by Apple. The iPhone Liberation Kit gives you the tools needed to swap the pentalobe screws with standard Phillips screws. The free kits are first-come, first-serve. For your free kit, visit iFixit.com/LiberationWeek. 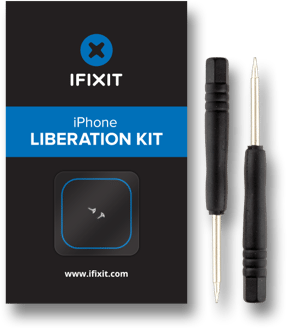 iFixit offers free iPhone Liberation Kits originally appeared on The Gadgeteer on July 2, 2015 at 11:00 am.